These Apostles are mentioned by Saint Paul in his Epistle to the Romans, where he writes: "Greet Andronicus and Junia, my kinsmen and my fellow prisoners, who are of note among the Apostles, who also were in Christ before me" (Rom. 16:7). As notable companions of the Apostles and true ministers of Jesus, ye proved to be sacred heralds of His condescension; for having received the grace of the Spirit, O glorious Andronicus and Junia, ye shine like lamps unto the ends of the world. 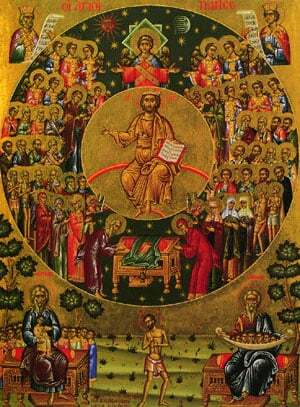 Share the feast of The Holy Apostles Andronicus and Junia with an icon greeting ecard.